Why Choose Sareer?For approximately thirty years Sareer Furniture has been a driving force in the UK’s wholesale bedroom furniture, mattress and topper supplying sector and also within the realm of bed technology advances. We are proud to be leaders in the industry, based in West Yorkshire, National Bed Federation members and we support The Sleep Council. Sareer are widely respected and enjoy a wonderful amount of repeat business because we regularly exceed expectations. Our experience has taught us that we must never stand and watch and we innovate with zeal. Everything that we do has the pro..
At Sareer Furniture we have been specialist wholesalers of bedroom furniture for over thirty years and we never stop seeking the newest innovations to enable the end user to enjoy the best sleep experience so we took our time, over twelve months, to research, create, develop and perfect our Sareer Matrah mattress range. We are magnificently proud of our products and, in case you were wondering, Matrah is the ancient Greek word for mattress but our Matrah offers far more than any standard mattress in appearance, effectiveness and value for money.We’ve pushed the boundaries of what was dee..
A quick glance at our website confirms that we stock fabric, leather, wood and metal bed frames, Sareer Matrah mattresses and mattress toppers but this blog focuses on our other exquisite bedroom furniture.With over thirty years in the wholesale bedroom furniture industry and a network of domestic and international partners and clients we understand beds, sleep and design needs so we offer only the highest quality products to retailers.Whether it’s for a one-off order or a bulk stock order we never compromise on customer satisfaction or craftsmanship so that you can work with us in absolute co..
You can tell from looking around the website that we offer a fabulous range of exquisite bedroom furniture with wood, metal, fabric and leather frames. In another blog you’ll find a post about our wood and metal bed frames but in this one we’re focusing on the fabric and leather finishes, including furniture with space for a television and its associated apparatus. 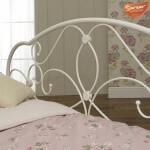 At Sareer Furniture, with over thirty years experience as bed wholesalers, we have a domestic, continental and global network of manufacturers who we deal with.We comprehend that a bed has to belong in its environment and enhance an..
Metal Beds and Wooden Beds. You’ll see from a glance at our website that we stock fabric, leather, wood and metal bed frames but this blog focuses on our metal and wood ranges. There is another interesting blog on this website for the fabric and leather bed furniture.With over thirty years experience and a domestic, continental and global network of manufacturers who we deal with Sareer Furniture are experts in our field. We understand exactly what retailers and the end user of our beds need so we offer bed furniture that promises comfort and marvellous sleep experiences using cutting edge designs and the latest innovati..
Why Choose Us For Bedroom Furniture? 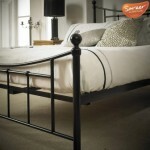 We appreciate that when retailers need to purchase stock there are a multitude of wholesale bed furniture suppliers in the U.K. and beyond so why should you choose Sareer Furniture and not one of these competitors?Read on for our compelling answer.For over thirty years Sareer Furniture has been a force in the wholesale bedroom furniture industry, we are respected and can boast an enviable reputation.We’ve learned a lot during our years working with clients and we do everything with them and the bed’s end user in mind.We know the requirements, likes and dislikes inside and out.From choosing man..